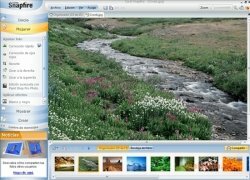 Corel Snapfire is a photo editing software application that will help you to easily improve your photos. Thanks to its simple and intuitive interface, this software will give access to less advanced users to the world of photo editing. 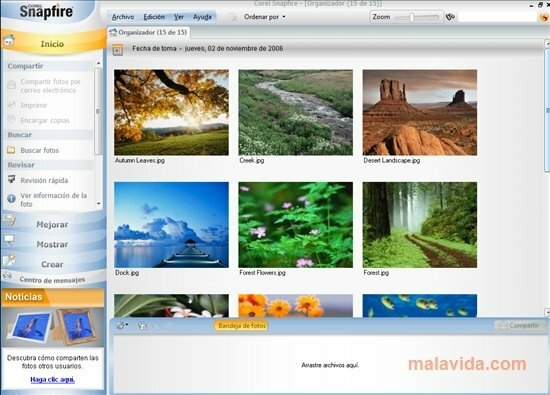 Among the functions of this software you will find the possibility to send the photos by email, print them or search for a specific image from among those that you have in the library. When it comes to editing them, Corel Snapfire will allow us to apply various effects to fix the red eyes as well as the light and the contrast, it also offers quick access to other Corel applications. 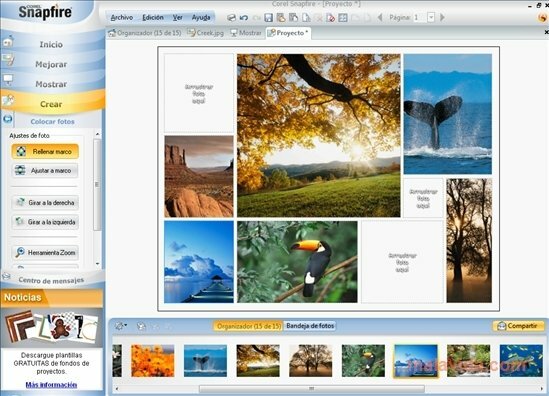 Among other options, Corel Snapfire also offers you the possibility to make compositions with several photos that you'll later be able to print. 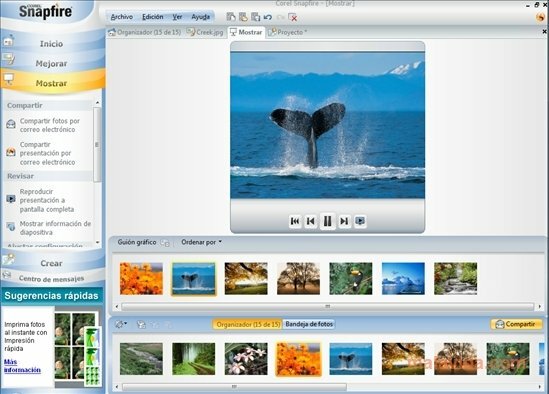 Likewise, it will be very easy to create videos with your pics where the software will take care of generating the transitions. If you only need to perform small adjustments to your photos and you don't have the knowledge necessary to make the most of more professional programs, Corel Snapfire may be the option that adapts best to your needs.